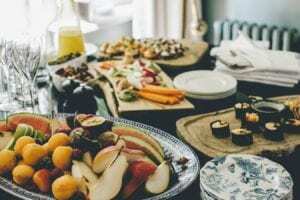 Scientists from the Weizmann Institute of Science conducted a very large-scale study, in which they found out that, as such, the principles of healthy eating simply do not exist. And there are people for whom a bun with a poppy is much more useful than a cucumber or carrots. Interestingly: 800 volunteers took part in the study. Their age is from 17 to 80 years. A study by scientists at the Weizmann Institute of Science confirmed that the cause of excess weight, diabetes, heart disease is an increased amount of sugar in the blood. “Nothing surprising,” – you think, because this truth is known for a long time. Each person’s level of sugar rises from different foods. For example, scientists found that any person has a sharp jump in sugar when he eats unusual food. In the course of the study, sushi, for example, caused the same jump in blood glucose as ice cream. I wonder how your body reacts to certain products, depends on several factors: the individual composition of microbes in the body (and they live inside us 100 trillion, and the composition of each person’s own), physical activity, stress (lack of physical activity and the presence of stress increase the production of sugar, even from products in which, at first glance, it is not). And remember that the products that suit you, may not suit your girlfriend or your family.